As you can see we had the luck of having a beautiful sunny day, with a great view from the tasting penthouse over the IJ, the water bordering the old harbor of Amsterdam. In the above picture the Belgian Coteaux du Layon producer Eddy Oosterlinck probably explains why his wines possess such a mouth-watering freshness along with the seducing sweetness characteristically for these sweet Loires. On this third picture it's a bit hard to see but you've got to believe me that this is David Clark - bending over the table - who explains something about his red Burgundies. 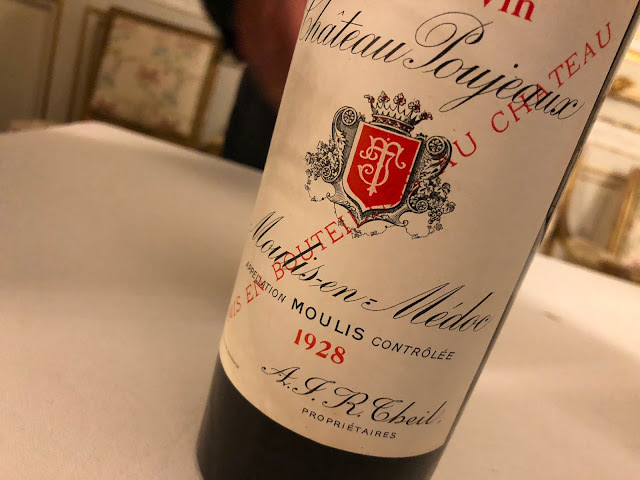 Probably people are wondering how a 'simple' Bourgogne rouge can taste like a lovely premier cru. As David is a very modest Brit, I wonder how he did this. Not on these pictures: Damien Delecheneau, Hubert Piel-Montigny and Vincent Carême. 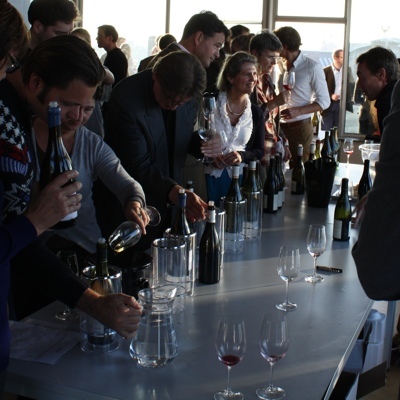 A big thanks to all vignerons and tasters to have attended this day! The event will be repeated, so if you missed it there's a new chance next year. Oh and I forgot to tell that we had a splendid dinner afterwards in Restaurant Le Garage. Thanks to Erwin Walthaus also for a lovely evening! And this automatically leads me to the announcement of yet another great wine event. Friday 25 November there will be a Beaujolais Nouveau evening in Le Garage featuring the organic and un-sulfured (and dramatically pure) wines from Isabelle and Bruno PERRAUD from Domaine des Côtes de la Molière. Isabelle Perraud herself will be in Amsterdam that evening. We will be drinking her Nouveau 2011 with an honest French dish. 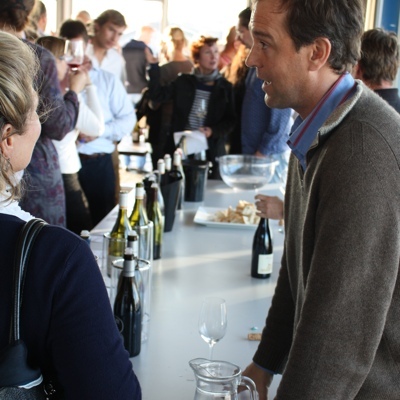 Drinking with us will be Nicolaas KLEI, Dutch wine writer and self-appointed lover of natural Beaujolais. I hope we will have enough bottles that evening (no worries, we will). If you're into great natural wines you shouldn't miss this evening. More information (in Dutch) can be found on the Bolomey Wijnimport website. If you make your reservation in time, you can be there too.